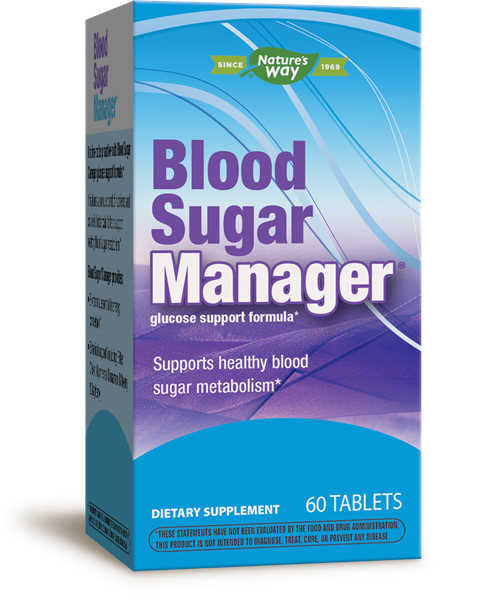 Blood Sugar Manager® / 60 tabs - Nature's Way®. Take 2 tablets daily with food. Best when taken with the meal highest in carbohydrates. Caution: If you are taking medication to control high blood sugar or have hypoglycemia (low blood sugar), consult a healthcare professional before use. If you are pregnant, nursing, or taking any medications, consult a healthcare professional before use. People with diabetes should monitor blood glucose levels regularly. Quatrefolic® is a registered trademark of Gnosis S.p.A., U.S. Patent No. 7.947,662.